Every company requires some sort of workspace or premises to operate from, regardless of what sector you work in. And the type of building and the rental cost will often reflect your budget or the requirements of your company. There will come a time when space becomes a problem in your current building. In an ideal scenario, you would relocate to a more suitable property, but it’s not always possible. Commercial rental space in London can be expensive and difficult to find something that fits your company’s needs. That’s why business owners in London are becoming savvy when it comes workspaces. Storage units offer an excellent way to create more space without breaking your budget. This means you’ll have more room for your daily operations by using offsite storage with Aussie. If you’re looking to create more space in your home in London, one of the best options is storage. However, you might not be sure what type of storage suits your needs. That’s when it pays to use a reliable company that offers a range of storage options. That way, you’ll be able to discuss your requirements with them, so they can go through what the various packages entail. Aussie is one of London’s fastest growing companies. And one of the reasons behind this is our range of services. 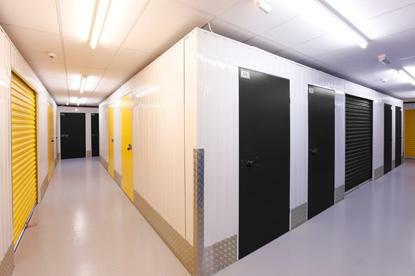 We can provide our customers with three excellent storage options that are ideal for domestic and business customers. No matter what your requirements are, Aussie has the right storage package for you.